There are lots of data gathered within healthcare organisations, but this is not always shared across the marketing and IT departments. The focus should be about being patient-centric in digitised world. In healthcare marketing, we’re keen to capture the right data to create personas that will give an insight into patient preferences, searches, concerns and social media behaviour. Combined, this is a big bundle of data. 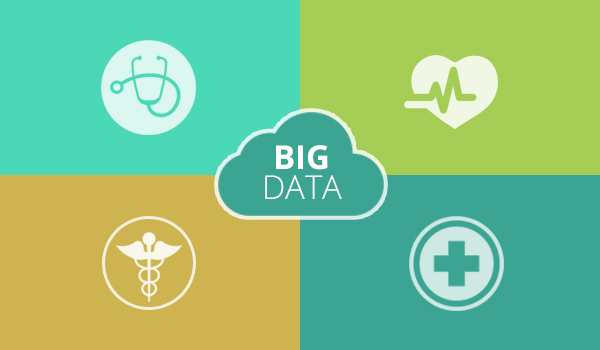 Healthcare Connect IT has gathered some interesting facts and figures that sheds light on the usefulness of big data in healthcare. 1. 90% of the world’s data was created in the last two years; in 2017 there will be increasing digitization of healthcare. 2. Big data can support and empower patients to self-care and improve the continuity of their wellness journey. 3. A study the McKinsey Global Institute found that if big data was applied effectively, the US healthcare sector could make $300 billion in savings every year. 4. The clever use of big data can help increase awareness of utilising new prevention technologies to help improve patient outcomes and cutting costs. 5. 80% of patient information is unstructured, so for example data from a doctor’s dictation after a patient meeting, it is not formally structured, chunked or categorised. 6. A stronger emphasis to transform big data into meaningful information can help improve patient communication and efficiency of patient care. 7. In 2017, providers should focus on developing new user-friendly support systems to interpret data which would save time and money and in turn improve patient outcomes. 8. If data is pooled and applied to specific treatments like breast cancer it can help improve medical practices throughout the whole patient pathway. 9. Pharma companies can potentially use data analytics to curtail the rise of clinical trials by integrating patient data that sits in operational silos, such as in HR and finance. 10. By 2020, 50 billion smart devices will be connected which will contribute to the global supply of data to more than double every two years. There are big challenges ahead for data yet big opportunities too. Consider how much you could save with additional data insights to achieve additional revenue! If you’d like to find out more about how we could support creating big data strategies for your business, email info@alexandrapatrick.co.uk or contact via Twitter. If you think your website could be performing better but your’e not sure where to start making changes, why not consider a conducting a quick Website Audit Checklist. An essential starting point before you embark on the Website Audit Checklist is to identify who visits your website, what are they looking for and track if they are doing what you want them to do. These tips are aimed at helping you to carefully review your website, so you can conduct a website audit by yourself and can track changes where they need to be made and fixed. 1. On-brand – ensure that your website has a cohesive colour palette or colour scheme to accurately reflect your organisation’s brand and that your typography and tone of voice is consistent across all content and ensure additional online resources and downloads are on-brand too. 2. Design – check that you have a format for navigation, headers, typography and hyperlinks, plus check you have a structured layout that ensures important content can be accessed/viewed easily this can be achieved by use of ample white space. 3. Coding – you may not be developer, but try and identify your sue of H1 headers and ensuing sub headers, minimise your images to ensure your load speed is optimised and ensure your coding is SEO friendly. 4. Ease of use – help your visitor to find information easily so ensure there is a header, a distinct body of content, sidebars for calls to action, a clear navigation bar with minimal drop downs to encourage users to easily read and digest content, equally pepper content with bullets and hyperlinks. 5. Quality content – research potential page content to make it relevant and topical to each audience category and ensure that it is continually refreshed so it remains engaging to give visitors a reason to revisit and in turn pass on and share sources and links that can stimulate a deeper user engagement. 7. Keywords – consider words and phrases that your target audience would search for and build this in to your headings and content by mapping out which pages they should appear on, however avoid over filing your pages with keywords and phrases. 8. SEO – to take full advantage of your on-page SEO, make sure each page has a clear title and the page URL has SEO value, in the Content Management System (CMS) you should add full meta descriptions and keyword rich titles. 9. Social Media – this needs to be fully integrated into your site, visible links to follow and provide social share opportunity to generate organic search opportunities. this must be supported by regular active social media interactions and engagement to encourage new website visits. 10. Mobile-friendly – it’s essential that your website is mobile responsive to make it easier for your visitors to view, use and share; indeed if you have a large website you could consider having a dedicated mobile site that is personalised. So take one step at a time and work your way through this suggested Website Audit Checklist, there may well be elements outside your technical comfort zone but don’t be phased if you think there might be more to do than you anticipated. And remember, promote your website on wider offline/print collateral and keep up to date with analysing web traffic. If you’d like to find out more about how we could support you to create a Website Audit Checklist for your business, email info@alexandrapatrick.co.uk or contact via Twitter. You may have seen recently that NHS England launched a new Twitter account to showcase patient and staff stories. It’s particularly compelling as it is planned that a new individual will take over the account every week. This pioneering new initiative aims to lift the lid on the NHS through the voices of the people on its frontline. The NHS is rich with experience, with over 1.9 million A&E attendances last month and an estimated 300 million GP visits each year, so there’s plenty of content to discuss and share. 1. Project – the three-month pilot project was launched on 17 October in a video posted on Twitter featuring Dan Smith, a consultant paramedic at North West Ambulance Service. 2. Curators in control – various ‘curators’ will spend a week in control of the Twitter account, “holding a magnifying glass up to the system” in an effort to improve the way care is delivered by the NHS. 3. 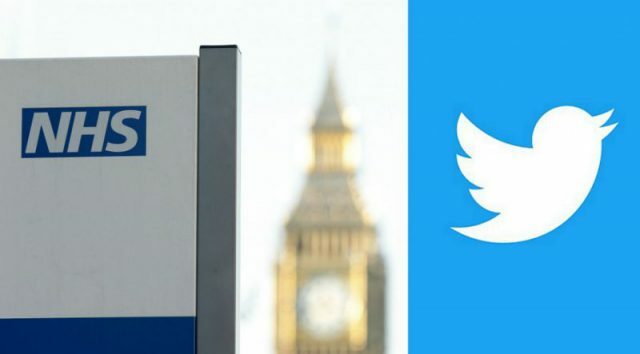 Campaign reach – to ensure maximum reach for the campaign, Twitter is promoting the NHS account to its 18 million UK users giving first hand experiences of Britain’s health service. 4. Patients – Richard Orchard was the first patient to take over this voluntary scheme, in future weeks patients will be sharing their journey with others for the week – with all its highs and lows of their condition and treatments. 5. Empathy – from patients to paramedics, the people taking control of the account will be sharing powerful stories and experiences that others will be able to relate to and empathise with, it can be lonely for some patients so this type of digital engagement can offer some meaningful relief. 7. Video features – the video featuring paramedic Dan Smith was its first tweet, his profile is also cohesively integrated and visible on the NHS website. 8. Educating experiences – patients share the details of what can be life threatening conditions, this engagement is further deepened by callouts to encourage people to tweet questions in advance in the case of Dan it was using #Team999 and he answered them the following day via video. 9. National projects – the NHS storytelling account is similar to national projects that are already run in Sweden and Ireland, so far it’s been well received in England, even heart-warming. 10. Healthcare insights – in Dan’s story he tweeted about his clinical role and the types of advice and support he provides, this really does help the wider community to fully appreciate the healthcare professionals daily working lives. There’s no doubt it is captivating following someone’s story as they live-tweet their healthcare experience of the NHS particularly when they can equally engage with anyone on Twitter. You can follow Follow @NHS and give your support. If you’d like to find out more about how we could support improve your healthcare marketing needs, email info@alexandrapatrick.co.uk or contact via Twitter. Did you know there is an annual barometer of Britain’s coolest brands? The CoolBrands are chosen by an independent panel and 2,500 British consumers. Quite simply, a CoolBrand needs to be honest and uncomplicated. 2016 marks the 15th annual survey of the brands that are keeping cool. Here are the top 10 that made the cut. Voters considered the brands in termds of four factors: authenticity, desirability, innovation and originality. For sure there is a strong digital media presence in the top 10 and there are seem serious challengers that are starting to grow like GREY GOOSE and Aspall Cyder in the Drinks category and Jimmy Choo and Wolford in Fashion. 1. Apple -kick-started the personal computer revolution in the 1970s and since then spearheaded the digital media revolution. 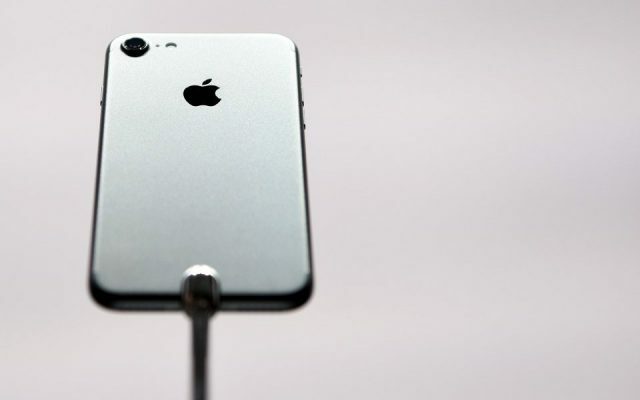 Its success in reinventing the mobile phone with the iPhone and App store is evidence alone to keep them at the cutting edge, along with their latest updated MacBook, the thinnest and lightest to date. 2. Glastonbury – the Worthy Farm festival is the hippest festival in Britain and to be number two in the CoolBands listing is impressive considering it’s a few 100,000 people camping out in the mud and rain. Glastonbury has been going 45 years but keeps being innovative and original and this is a huge part of the festival’s success. 3. Netflix – Netflix is the world’s leading streaming media service, serving over 83 million users in more than 190 countries worldwide. It’s a young brand showing momentum and its branding is more than a logo, Netflix offers a huge product range that remains unified to everything thematically and visually so it stays cohesive. 4. Aston Martin – is an iconic car marque that shot to fame due to its association with James Bond films, first appearing in Goldfinger in 1964. It’s sophisticated, British built, high quality and hand finished – so young or old, male or female Aston Martin is truly a cool British brand. 5. Nike – is undoubtedly a cool shoe/footwear brand and with a cool brand slogan: ‘Just do it’, its positioning is indicative of the trend in fitness and wellbeing over fashion. Nike has stayed true to their founding principle by continually to create quality products for athletes with a focus on making them better. 6. Instagram – Instagram was created in 2010 and bought be Facebook in 2012; it’s not just a social network for selfies, it has 500 million users that can an edit and post mages and short videos (up to 15 seconds); it can visually represent leading brands to keep up with their 100.000’s or for some millions of followers every single day. 7. Spotify – Swedish firm Spotify is a disruptive brand, a rising star that is retaining a positive reputation; their mantra is it’s easy to find the right music for every moment – on your phone, your computer, your tablet and much more. Consumers can access millions of tunes and browse through music collections of friends, artists and celebrities. 8. adidas – adidas has a confidence and credibility to continue to be the greatest running franchise ever, the Ultra Boost. adidas has reinvented its football franchises – Ace & X – to be the best in class. They also continue to dominate in streetwear and fashion with iconic footwear franchises such as Superstar and Stan Smith. 9. PlayStation – the original PlayStation, released in 1994 in Japan became the first video game console to sell 120 million units. The PlayStation Network is an online service with over 110 million users worldwide. It continues to innovate when in late 2016 The PlayStation’s virtual reality headset is making its way into gamers’ homes. 10. YouTube – the smart YouTube co-founders met while they were working at PayPal and since their humble start YouTube has accumulated over a billion users — almost one-third of all people on the Internet and on mobile, the average viewing session is now more than 40 minutes. It’s amazing to contemplate that 400 hours of video was uploaded to the site per minute. Brands that keep cool deliver a brilliant product that performs and has the ability to continually build trust. And often it’s the talent in marketing that can position brands precisely to meet the needs of the ever changing audiences. If you’d like to find out more about how we could support creating your cool brand, email info@alexandrapatrick.co.uk or contact via Twitter. When considering content and design for a tourism website, focus on the visitor or user experience. 148.3 million travel bookings are made online each year, so you need to make sure that your tourism website has above all easy bookable forms and is mobile friendly. To create original, compelling content for a tourism website can be a challenge, so here are some tips and advice to help make it a key digital channel to increase visits to your destination. 1. Audience – research your audience so you can make sure your content is useful and relevant on every page. Whether it’s content for a family, retired couples or young adventurers, ensure for example they can access weather information, search for accommodation, find up and coming local events relevant to their travel needs. 2. Design – to keep design simple and captivating isn’t always easy; ensure that every page is consistently branded; remember too that people like to find things easily on the home page. So they should be able to select forthcoming events, search for accommodation from the home page. 3. Imagery – must be appealing, inspiring and distinctive, people will connect more visually with a beautiful shot of a location or property and where possible ensure images are captioned and have accompanying relevant content and searchable key words. 4. Mobile friendly – if hotels, airlines, and online travel sites optimize their websites for mobile bookings people will find it a simpler and easier path to purchase and book their trips instantly on the go. 6. Video – images can be complemented by video, video can create an emotive story to show where you can walk, stay, visit; when people spend 50% more time a month watching YouTube videos every year , it indicates that there is a huge growth and demand potential to use video on your tourism website. 7. Sort searches – this should be done for accommodation, events and attractions; for example sort accommodation by quality, price, distance from, if online booking is available, type (hotel, guest house, camping etc.) and available facilities. 8. Layout – keep the landing pages simple, you need to keep your visitors on the site and search to find out more, 65% same day hotel reservations made from a smartphone so make sure this type of page can be accessed quickly on a mobile. 9. Structured content – keep important content ‘above the fold’ so visitors don’t need to scroll too far down, use sub headings to help the user and search engines, use bulleted lists to make it easier digest. and add internal links to provide context to the website. 10. Social media – ensure you integrate your social media channels to widen the potential to funnel visitors to book and visit on your website, this is a useful channel too to capture feedback, encouraging people to leave comments, make recommendations and reviews. Overall, regularly review your website content and continually identify areas for improvement. Keep your messaging consistent, promoting the unique selling points of your offering. If you’d like to find out more about how we could support you to create a tourism website for your business, email info@alexandrapatrick.co.uk or contact via Twitter. Recently the Government published their Tourism Action Plan and we’ve pulled out some of the key insights to share with you. Last year the UK tourism industry generated £22.1 billion in spending from inbound tourism to the UK and £19.6 billion from domestic tourism spend in England. However, many overseas visitors never venture beyond London, so over 50% of their spending is in the capital. In essence, the Tourism Action Plan conveys the Government’s commitment to improve the UK’s competitive tourism offer. 1. Improve transport network – international visitors can find it difficult to find the information they need, the plan aims to make it easier for visitors to explore by rail, bus and coach; for example by working to develop a new GREAT Rail offer and develop new partnerships between VisitBritain and online booking companies, like Expedia. 2. Improving quality skills – by introducing flexible apprenticeship schemes this will allows training to be completed over 16-18 months rather than 12, with breaks included; this addresses the seasonal nature of the tourism industry. 3. Common sense regulation – changing licensing to allow B&Bs to offer a welcome drink, and modifying vehicle licensing that will allow B&B owners to pick up visitors from train stations, plus the UK will make it easier for tourists to claim back VAT on eligible purchases. 4. Explore beyond London – visitor statistics are encouraging showing they venture beyond the capital, as the South East, South West, West Midlands and the North East saw international visits and spend grow at a faster rate than London in 2015. 5. Job creation – tourism is one of the UK’s most important industries with it directly responsible for 1.6 million jobs, employment in tourism growing at a faster rate than total UK employment and there is a #mytourism job campaign to encourage more young people to consider it as a career. 6. Latest visits – in the six months to June 2016, there were 17.3 million international visits to the UK and with campaigns like Defra’s Great British Food Campaign that will showcase British food and drink, UK visits looks set to increase in 2016. 7. Working together – UK tourism as a collective body aims to strengthen co-ordination and collaboration across providers by developing an overarching industrial strategy to grow tourism. 8. New funding – there’s a new £40 million Discover England fund to incentivise England’s destination organisations and businesses to join up to build world class tourism experiences and products. 9. Better informed – the roll-out of smart ticketing infrastructure and the development of route-planning apps like Rome2Rio aims to make it easier for passengers to make better decisions about their journeys. 10. Availability of information – UK tourism will improve the availability of visitor information through the UKVI website and in Visa Application Centres. The UK Government pledges to ensure the continual growth of the industry and the Discover England fund is a good example of introducing people to new experiences such as proving the opportunity to walk a section of the new, 2,700 mile national coastal path. If you’d like to find out more about how we could support creating brand ambassadors for your business, email info@alexandrapatrick.co.uk or contact via Twitter. The Children’s Society has conducted a study on the happiness levels of teenagers across the UK. 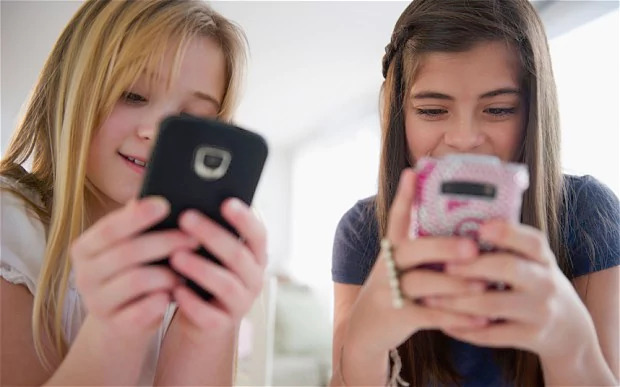 The charity surveyed 30,000 children and young people; they found that 14% of 10-15 year old girls are unhappy in general, with some girls spending up to three hours every night on social media. Online pressures are said to be a huge factor in young people’s unhappiness. Indeed the mental well-being of girls has worsened since 2005. Over the last decade The Children’s Society have asked over 60,000 children how they think their lives are going. In the The Children’s Society 2014 14% children aged 7 to 16 were bullied online, yet still the vast majority of bullying takes place at school, 78%. Earlier this year, Childwise reported a major shift in UK children’s behaviour as time online overtakes time watching TV for first time ever. 1. Online use – children age 5-16 now use the internet for an average of three hours a day, 15-16-year-olds spend 4.8 hours online. 2. Tablet ownership – has increased by 50% in a year, four in five children (79%) now live in a house with a tablet device in it, two in three (67%) now having their own device. 3. YouTube viewing – half children surveyed use the site every day, almost all do so on occasion. 4. YouTube viewing – the majority of children access music videos (58%), around half of users are entertained with funny content on YouTube (52%); around a third watch gaming content, vlogs/blogs, TV programmes or ‘how to’ videos. 5. Location online – children are going online more in their bedrooms, three in four children (73%) can now access the internet in their room, up from two in three (63%) last year. 6. Popular vlogger – Zoella was the top vlogger, especially among girls with 15% naming her as their favourite, her appeal is highest among 11-12 year olds. 7. Mobile phones – 63% of children own their own mobile phone with an average monthly spend of £12, it’s the most common way of accessing the internet. 8. TV viewing – in 2016 children and young people and watch TV for 2.1 hours each day – down from 3 hours in 2000; 60% watch TV via a phone, tablet or laptop. 9. TV services – Netflix emerged as the most popular choice – overtaking all the conventional channels. 10. Online channels – apart from YouTube, other popular online destinations are Snapchat, Instagram, Minecraft and Facebook. The 2016 CHILDWISE Monitor is an annual report looking at five to 16-year-olds media consumption, purchasing and social and behavioural habits. More than 2000 children in schools across the United Kingdom completed in-depth online surveys for the report. If you are a member of LinkedIn you’ll know it gives a wealth of opportunities to connect and communicate globally. 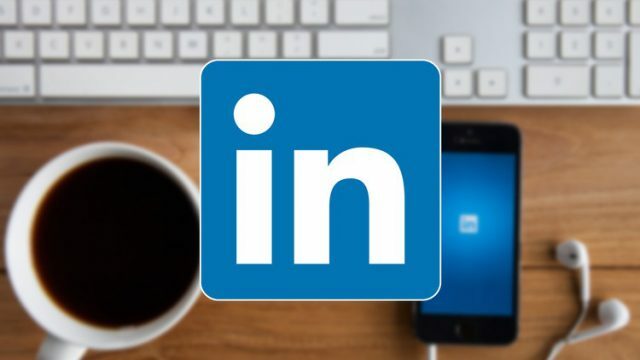 And with over 450 million users on LinkedIn and over 20 million members in the UK alone, it’s attracting more than two new members per second. 1. Total users – there are 450 million users in 200 countries, 13% of members use it once a day and LinkedIn have a goal to reach 3 billion. 2. New members – LinkedIn is adding two members per second with on average 97 million unique visitors a month and the average monthly time spent by a user is 17 minutes. 3. What happens – influential users build their business and professional contacts into an secure online network and by adding a photo to your profile makes you 36 times more likely to receive a message. 4. Invite only – it has a ‘gated access approach’ where you need an existing connection to link to another user, once joined members will receive status updates and access to their contact details; LinkedIn members had 45 billion page views in Q1 2016. 5. Company pages – there are 4 million company pages and 81% of B2B marketers use LinkedIn for their new product launches, you can list your range of products and services (via Showcase Pages) and share promotions, news and content too. 6. Content growth – 100 million users access the site on a monthly basis and more than 1 million members have published content on LinkedIn. 7. User engagement – the best day and time to post on LinkedIn for engagement is Tuesday between 10 and 11am and the best time to post for shares is between 10am and 2pm and LinkedIn will be integrating with Yahoo mail. 9. Groups on LinkedIn – there are separate community discussion areas created to discuss and share information around topics relevant to your business interests. 10. Profile page – this is your home page where they can summarise career and information; there are ‘public’ and ‘private settings’; 56% of LinkedIn users are male. LinkedIn can be great traffic driver for your business and you can continually refine and update your personal and company profiles to encourage more click throughs. The UK summer seems to have at a last arrived. But how successful will the tourism industry be judged in the UK? It’s predicted tourism visits in the UK will reach 36.7 million for 2016. And since 2010, tourism has been the fastest growing sector in the UK in terms of creating and retaining jobs. And as a country, the UK enjoys excellent global connectivity, with well over 100 countries having direct air connections. It’s worth unpacking some of the headline tourism facts and figures. 1. 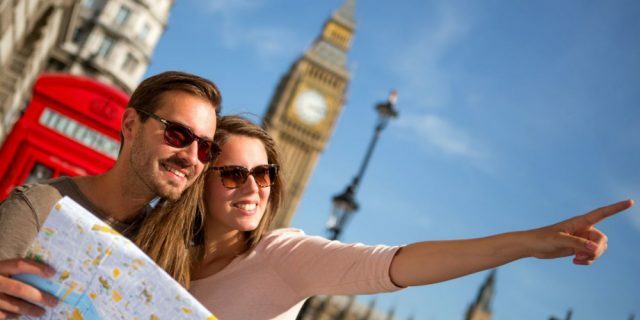 Total value – tourism is predicted to continue grow, Britain is forecast to have a tourism industry worth over £257 billion by 2025 and visitors who travel by air tend to spend more per visit than those using other means of transport. 2. Total jobs – by 2015 Deloitte research predicted tourism will be supporting 3.8 million jobs which will be concentrated where there are more visits, so for example, in 2015 there were 18.6 million visits to London, spending £11.9 billion; this represents 54% of all inbound visitor spending, with 40% of visitor nights spent in the capital. 3. Inbound tourism – is considered to continue to be the fastest growing tourism sector, in 2015 36.1 million overseas visitors who came to the UK spent £22.1 billion; in England alone. 4. Total GDP – it’s thought that by 2025 the tourism industry will contribute just fewer than 10% of UK GDP; the top visitor attractions tend to be visitor/heritage centres, farms and wildlife attractions/zoos. 5. 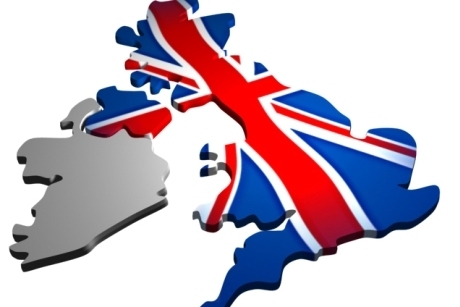 Visits to the UK – a survey run by the Office for National Statistics (ONS) in the last recorded 12 months, April 2015 to March 2016 found visits to the UK was 4% higher than the previous 12 months at 36.51 million visits. 6. Average spend per visit – May 2016 had seen the highest value of spending so far in 2016; however, we are still down on May last year – 8% lower at £1.86 billion (ONS); international visitors spend their money on activities such as visiting castles, museums or to explore the countryside or coast. 7. 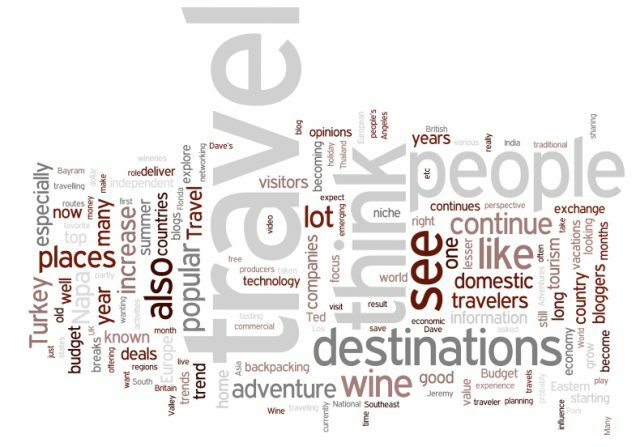 Visits by journey – in the last rolling year (June 2015 to May 2016) visits by journey are broadly split by holiday visits (37%); visits to friends and family (30%); business visits (25%) and miscellaneous visits which can include short term study, shopping, sports events and more (8%) – (ONS). 8. Visits by region – EU15 (member countries by European Union) in the last rolling year was (56%); Other EU (12%); Rest of Europe (6%), North America (11%) and the Rest of the World (15%); the largest uplift in visits by region was from Other EU. 9. Visitor nights – Visit Britain reported the number of visitor nights spent in the UK increased by 3% in 2015 to 273 million nights, with the average number of nights per visit being 7.6. 10. Average spend – in 2015 the average spend per visit in total was £611 and the top three visitor markets are France, USA (the fastest growing market too) and Germany; all valuable sources of income for the UK. Tourism visits in the UK are forecast to reach 36.7 million for 2016 and it will have had a welcome boost from Andy Murray’s recent Wimbledon champion win for the second time. 2016 has already been significant for arts with a number of Britain’s literary legends celebrating anniversaries and milestones, including the 400th anniversary of Shakespeare’s death and the 100th anniversary of Roald Dahl’s birth. 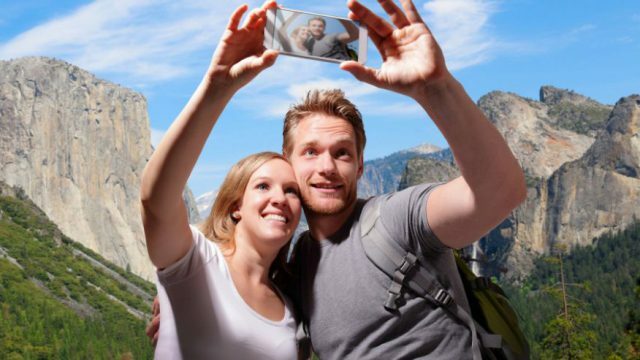 The range of tourism trends in the UK include increased importance of mobile technology, empowering consumers and allowing them to make last minute decisions on a wide range of leisure activities. More recent developments are FOMO, the ‘fear of missing out’ and the rise of the ‘individualocracy’ the demand for control and simplicity are important too. 1. VFR (visiting friends or relatives) – constrained budgets and more life events and greater perception of time pressure will see people maximising their leisure time on VFR trips, aiming to gain a richer experience with their family, creating a new type of holiday in the UK. 2. Active tourism – the desire to be active and healthy is driving an increase in active leisure trips. People do seem to have more active lives in both leisure and holidays; there’s an assumption that we should be active and generation of health conscious older people. People also feel they can ‘de-stress’ through adventure experiences. 3. Skills tourism – this is driven by both cultural capital and desire to acquire new skills. More than half of consumers in England (56%) say that ‘trying new things’ is important to them, and two-thirds (67%) say that art or culture is important to them. 4. Health tourism – health consciousness is driven by increased pressures at work and home, as well as sustained societal focus on wellbeing; the countryside will benefit from health and active tourism; a further point of difference is the perception that modern lifestyles are ‘too easy’ or sedentary so there’s a drive for consumers to push themselves. 5. Rural tourism – the rural destinations is quintessentially English –it’s a unique offer for UK tourism. However, there’s also an apparent divergence in age structures of different regions and geographies, a key trend here is the rapid ageing of rural areas, whereas cities remain relatively youthful. 6. Seaside tourism – some resorts have been unable to compete with a pure beach offer and the more reliable summer weather that some overseas locations can offer has been a threat; yet many resorts have been able to successfully adapt and to re-invent to attract new audiences. 7. Urban tourism – regeneration in many cities and an increase in the number of attractions has propelled the growth of urban tourism; this is crucial for the younger market; time poor and cash strapped younger consumers will look to maximise their leisure spend. 9. Consumer tourism – England is developing an incredible diversity of product – food, wine, different activities – it will continue to be attractive, and people are taking pride in this – but consumers expect discounts despite the recent economic recovery. 10. Green tourism – is a driver but you have to be selling the experience and the attraction, this is also affected by wider trends such as ever changing work-life balance or time pressure. In summary, a social trend to watch is that, in three decades time, there will be more than 9 million over 75s in England (twice as many as there are in 2016). Accommodation and travel options that can cater for people with reduced mobility will be in great demand; they’re still keen to go on holiday but potentially reluctant (or unable) to travel far. If you’d like to find out more about how we could support creating brand marketing for your business, email info@alexandrapatrick.co.uk or contact via Twitter.